Redemptor Dreadnoughts are giant war machines that crush bone and splinter skulls as they bludgeon through enemy ranks. Taller, broader and more cunningly wrought than the Dreadnoughts of traditional design, these goliaths of battle are powered by hyper-dense reactors and sophisticated fibre bundles. They can accelerate from a thudding stomp to a loping, thunderous gait that shakes the ground, barrelling through hails of fire in glorious defiance. 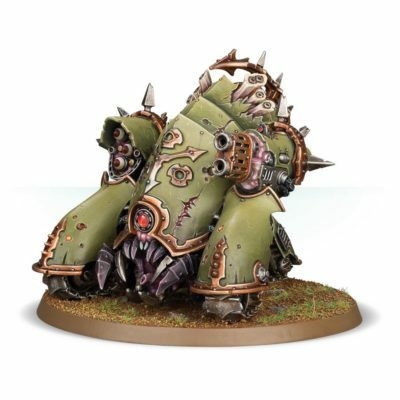 Such is the miraculous design of the Redemptor’s neural links that its inhabitant, despite being entombed in the sarcophagus within the Dreadnought’s chest, can exercise control with surprising dexterity and speed. 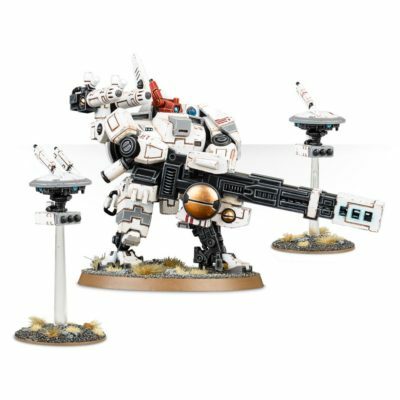 Designed to be as easy as possible to assemble for new hobbyists while being detailed enough for the hardiest veteran to appreciate, this kit is an Easy To Build Primaris Redemptor Dreadnought – a complete Redemptor Dreadnought in only 12 components! Push-fit, with no glue required, this is incredibly straightforward to put together and comes on a pre-coloured blue plastic sprue. 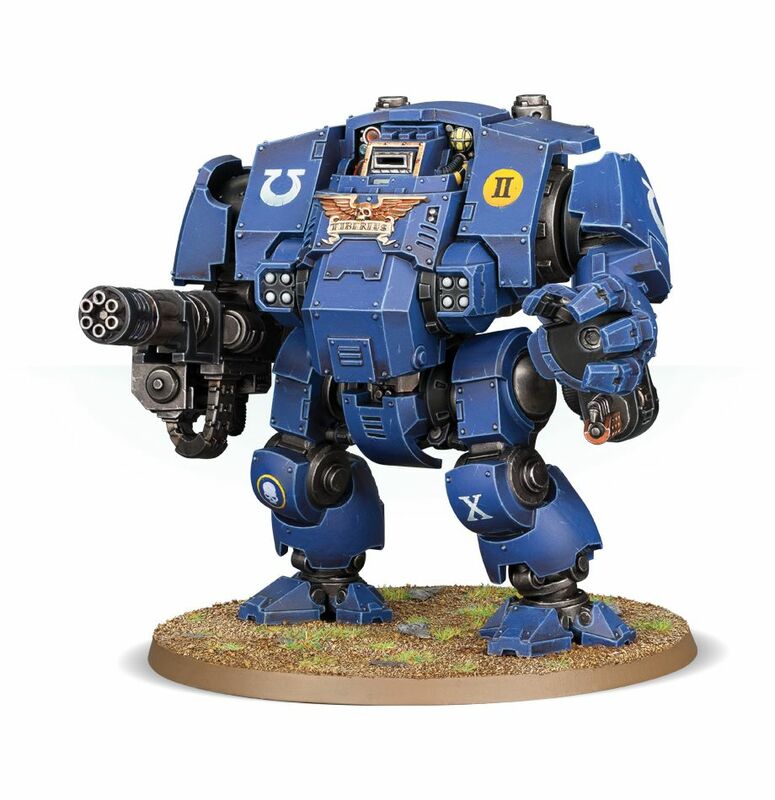 Standing twice the height of the already-tall Primaris Space Marines – and taller and broader than the standard Dreadnought – this is an exceptionally aggressive-looking model that befits its status as a powerhouse on the gaming table. 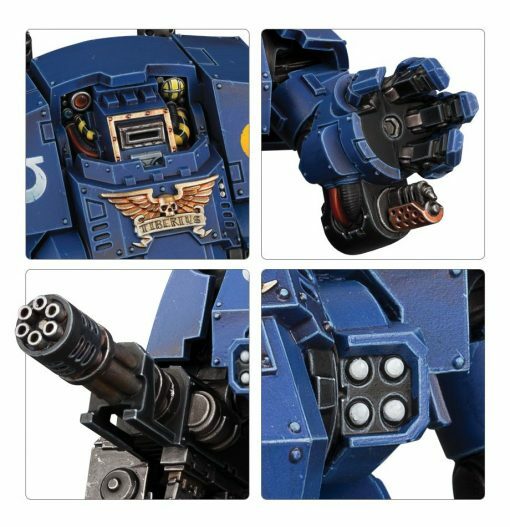 It comes armed with a Redemptor fist and heavy flamer on the left arm, and a heavy onslaught gatling cannon on the right arm – the chest, where the sarcophagus of the interred Space Marine lies, boasts a fragstorm grenade launcher. This plastic kit comes as 12 components, and is supplied with a 90mm Round base, featuring holes to slot the models’ pegs into. Rules for this miniature are included in the box, along with a Space Marines Vehicletransfer sheet.